Owning a mobile phone is no more a luxury as it was once upon a time. But it has become a necessity in the present day. Staying online through various devices such as mobile phones for business and personal reasons has become a common thing in the current scenario. The mobile phone provides seamless online connectivity albeit draining power at a rapid rate. The term ‘Power bank' was unknown until a few years back. But with the increased spread of power-hungry smartphones in the market, power banks to have become a necessity. Today I'm going to write Ambrane Power Bank review so that you can know more about it. 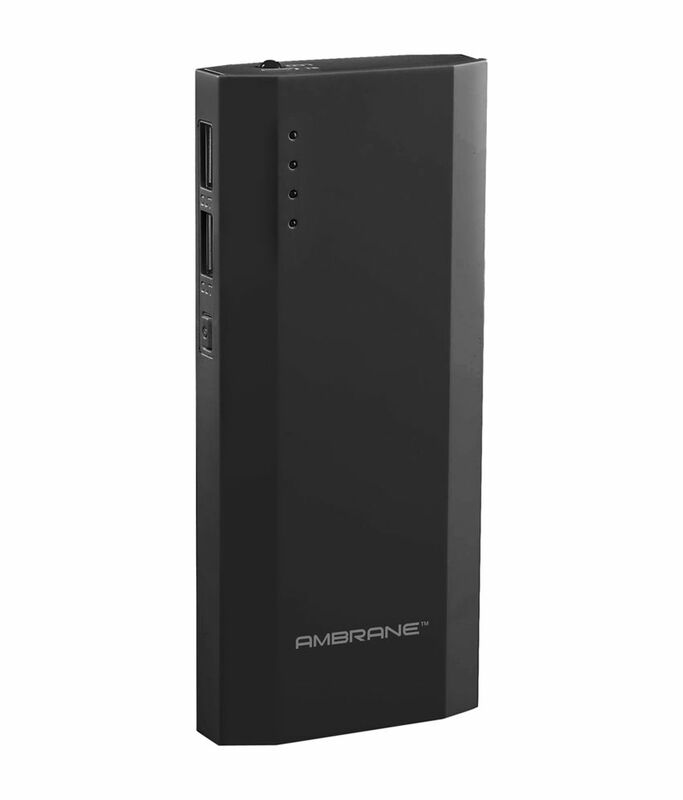 You will read here Ambrane Power Bank 10000mAh Review for more information. 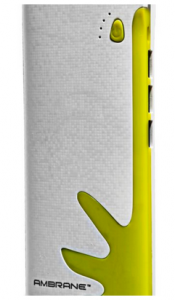 Power Bank is a battery storage device that addresses the changing needs of a smartphone. Present day power banks come supplied with multiple other features alongside device charging. The wide range of features includes but not limited to increased battery capacity, fast charging, reduced size, multiple safety features such as auto shut off and the non-charging related feature of having an inbuilt torchlight. Then Keep reading this article to learn about the power bank. There is no single answer ‘yes' or ‘no' to the above question as the answer to this completely depends on an individual’s mobile phone usage. If an individual is a power user who needs to remain online for his business or personal needs then buying a power bank is inevitable for him. On the other hand, if an individual is not so much into data usage and only limits himself to calls and SMS then for him it is not worth buying a power bank. Lot of people from Gen X and Gen Y category fall into the above described avid phone user’s category. Gaming, interaction with friends on social networks, banking transactions are some of the common tasks these people perform via their mobiles. So, they definitely need a power bank as most of the tasks they perform are battery consuming. mAh is the unit of electric charge and is also the most common way to express the capacity of batteries. ‘Milliamp-hour’ is the full form of mAH. The more the mAH of a battery, the more power the power bank can store. So, if an individual is a power user of mobile phone then he/she needs to buy a power bank that has more mAH. mAH of power banks can range from 3000 to 20000 plus. Some of the power banks based on the input capacity can get charged at a rapid charging rate than others. Various features such as the capacity of the power bank, type of charging cable influence the charging rate of a power bank. Latest features such as ‘fast charging’ can decrease the overall charging time of the device. The more the number of ports, the more the number of devices that can be charged simultaneously. Some power banks support simultaneous charging of the power bank as well as mobile phone meaning one can connect the mobile device to be charged to the power bank while the power bank itself is getting charged. Safety is paramount when it comes to power banks as they hold battery within them. Batteries, when not handled appropriately, can cause much damage to the device and in extreme cases can explode causing physical harm to the consumer. Hence, the user should look for safety features such as auto shut off feature, strongly built of the device etc. Find our guide to the best power bank for mobile with 10000mAh capacity in India. These ultra slim, portable, sleek and powerful and best power banks for mobile phones. Keep your device fully-charged all day so that you never run short of battery. 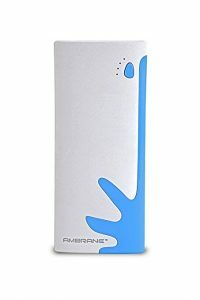 Available in two different colors of Turquoise Blue and Jet Black, the Ambrane P1111 10000 mAh Power Bank is unique with its octagonal shape. Ambrane power bank with dual ports is capable of charging two devices in the single go. You can check Ambrane Power Bank reviews on Amazon. The LED lights indicate the existing power capacity of the power bank making the job of charging the power bank easier for the consumer. The Ambrane P-1111 10000 mAH power bank comes supplied with torchlight which is an added advantage as it comes handy during adventurous trips where there is the shortage of light. Lithium-ion power banks generally are less efficient compared to Lithium polymer battery based power banks.